Magherafelt based Bloc Blinds will be showcasing its new all-in-one smart home device ‘Bloc iQ’ at CES 2019 in Las Vegas this week. The global gathering is the tech world’s biggest event for innovators and breakthrough technologies and this year will attract 4,000 exhibitors and over 180,000 visitors. The patent-pending Bloc iQ device will revolutionise the smart home. It uniquely includes all Internet of Things (IoT) features in one device allowing users to choose bespoke settings for each room. Bloc iQ is designed to increase home comfort and security and will also allow for energy savings due to light and heat level monitoring. Features include a camera, thermometer, lighting and sensors, allowing for seamless integration into the home environment. 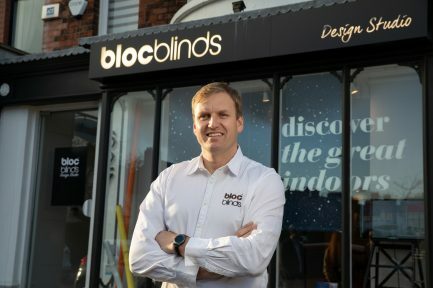 Established in 2008, Bloc Blinds has seen a 40% rise in turnover over the last three years, while sales of the company’s award winning patented ‘BlocOut’ blackout blinds have risen by almost 50% YOY. The innovation is the next generation of smart blinds coming on the back of Bloc Blinds iQ – a range of automated blinds launched by the company in 2018. The company currently employs over 100 staff at its manufacturing headquarters in Magherafelt and in 2017 opened a new retail focused design studio on the Lisburn Road, Belfast. The flagship store provides consumers with in-home consultation, a professional measure and fit service and following health and wellness trends – with sleep being a universal need – the Design Studio has recently been refurbished with a bespoke ‘sleep hub’ highlighting the benefits of the BlocOut. During CES, consumers, industry professionals, and more can learn about the unique features of the Bloc iQ by visiting stand 42952.